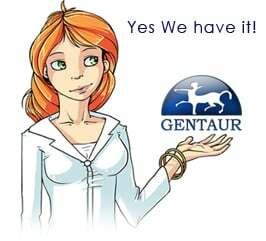 Gentaur antibody-antibodies.com The Marketplace for Antibodies : cDNA cloning and expression of a family of UDP-N-acetyl-D-galactosamine:polypeptide N-acetylgalactosaminyltransferase sequence homologs from Caenorhabditis elegans. cDNA cloning and expression of a family of UDP-N-acetyl-D-galactosamine:polypeptide N-acetylgalactosaminyltransferase sequence homologs from Caenorhabditis elegans. The initiation of mucin-type O-glycosylation is catalyzed by a family of UDP-GalNAc:polypeptide N-acetylgalactosaminyltransferases (ppGaNTase) (EC 2.4.1.41). By screening two mixed-stage Caenorhabditis elegans cDNA libraries, a total of 11 distinct sequence homologs of the ppGaNTase gene family were cloned, sequenced, and expressed as truncated recombinant proteins (gly-3, gly-4, gly-5a, gly-5b, gly-5c, gly-6a, gly-6b, gly-6c, gly-7, gly-8, and gly-9). All clones encoded type II membrane proteins that shared 60-80% amino acid sequence similarity with the catalytic domain of mammalian ppGaNTase enzymes. Two sets of cDNA clones (gly-5 and gly-6) contained variants that appeared to be produced by alternative message processing. gly-6c contained a reading frameshift and premature termination codon in the C-terminal lectin-like domain found in most other ppGaNTase proteins, and a second clone (gly-8) lacked the typical C-terminal region completely. Homogenates of nematodes and immunopurified preparations of the recombinant GLY proteins demonstrated that worms express functional ppGaNTase enzymes (GLY-3, GLY-4, GLY-5A, GLY-5B, and GLY-5C), which can O-glycosylate mammalian apomucin peptide sequences in vitro. In addition to demonstrating the existence of ppGaNTase enzymes in a nematode organism, the substantial diversity of these isoforms in C. elegans suggests that mucin O-glycosylation is catalyzed by a complex gene family, which is conserved among evolutionary-distinct organisms.